Cloned from Cembrel A by V. Sarela (Yautja). Info: Created on 30th November 2017 . Last edited on 5th August 2018. A great fontstruction! I'm working on my second entry that is very similar to this one... Well, similarity is a normal thing I guess with these bricks. Your fonts deserve extra attention for all extended character sets you make. Keep up the good work! @architaraz, thank you! I'll be waiting to see your upcoming entry. Congratulations! FontStruct Staff have deemed your FontStruction worthy of special mention. 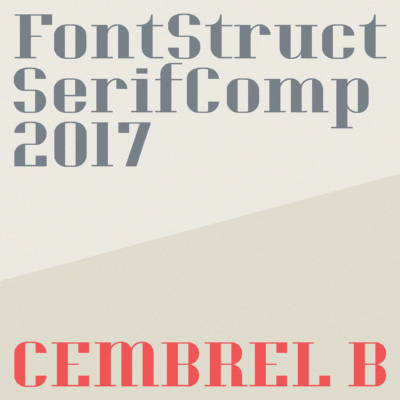 “Cembrel B” is now a Top Pick. This is a very sympathetic, attractive and lovingly elaborated serif. Nice work!